Being your own boss is a goal that seems attractive to many people. Some reasons for wanting to be your own boss may include frustration with inept business practices at your workplace, wanting a more flexible schedule, or wanting to increase your income. There are many risks inherent in owning and running a business, however. Making a business profitable depends on many factors, not all of which are under an owner's control. Owning a business involves making a lot of decisions, and wrong ones may derail the business or even cause it to fail. Other threats include theft and loss, lawsuits from unhappy employees or former employees, and economic downturns that may cause owners to lose significant investments of capital. One way to mitigate the risks of owning a business is to buy a franchise rather than buying or starting a stand-alone business. Up to 80% of new businesses have failed after five years, while franchises offer support, proven business practices, and a recognizable brand name to draw sales. Owning a franchise provides a safety net while still offering the potential for many of the benefits of owning a stand-alone business. Franchise vs. Traditional Business: What's the Difference? Franchises have some significant differences when compared with the traditional business model. There are specific rules that franchisees are required to follow so that business practices remain uniform across locations and customers know what to expect. In exchange for not having complete freedom, franchisees get to share in the advertising of the entire brand name, as well as benefit from the name recognition of an established business. Name recognition and branding are also the reason why franchisors can charge fees starting at about $10,000, in addition to taking a percentage of the business's sales each year. Despite these costs, many find it easier to turn a profit when backed by an already successful business. Although the brand name is only licensed, not sold to the franchisee, many of the benefits of ownership are conferred with that license. When everything works as it should, a franchise can offer nearly all the benefits of a traditional business with hardly any of the risk. Like a traditional business, running a franchise can offer a flexible work schedule, job security and a high income potential. Even the rules that must be followed will largely consist of proven business practices that have worked for the business for years. The franchise safety net can help with the transition from being traditionally employed to becoming your own boss. As you gain experience, you may still appreciate what the franchise has to offer. You may be making too much profit to consider any other business model. You may have discovered one of the most profitable business models around - the franchise. 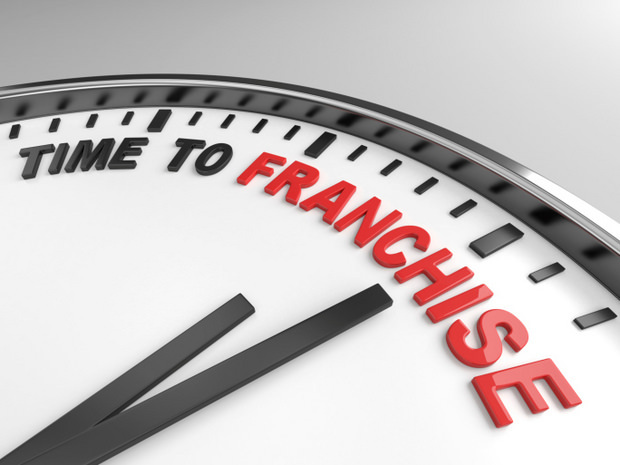 FranchiseGator offers information and resources for those considering purchasing a franchise. Hundreds of franchise opportunities are listed on the website, along with tips and resources to help you on your way to becoming a franchise owner. Sign up to receive free updates on the latest franchise and business opportunities available!